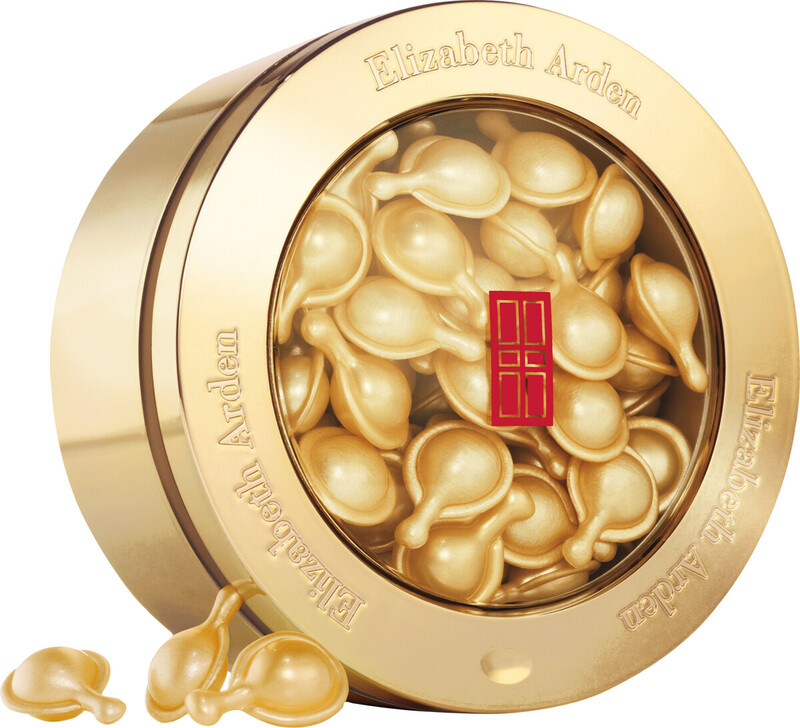 Restore the youthful glow of your complex with the Elizabeth Arden Advanced Ceramide Capsules Daily Youth Restoring Serum, a silky anti-ageing serum. 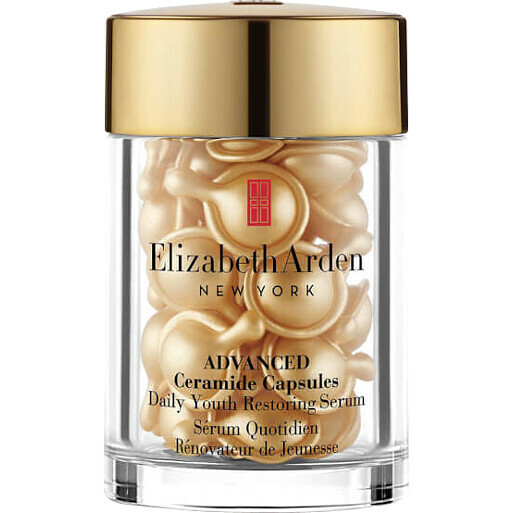 The youth-enhancing formula will work to visibly reduce the appearance of fine lines and wrinkles by replenishing the skin’s natural production of ceramides, whilst retexturising and hydrating the epidermis. The serum will be quickly absorbed in to the skin, as essential fatty acids strengthen and firm without leaving a greasy after-feel. 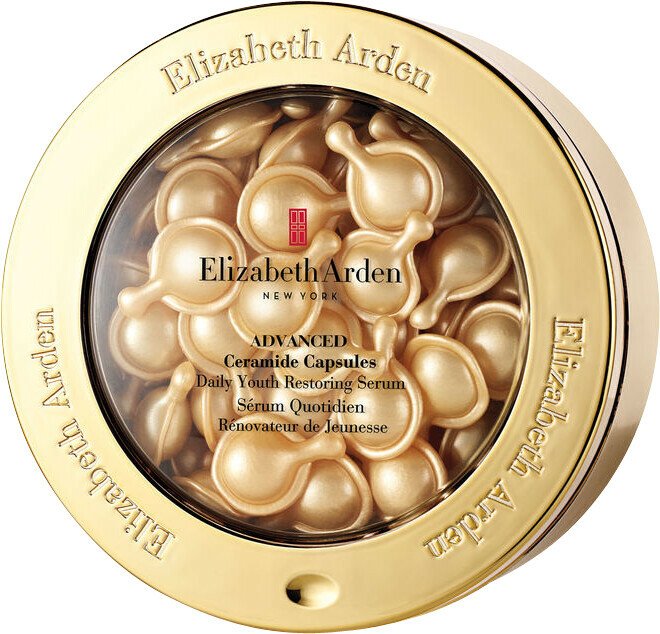 The skin’s tone, clarity and dryness will be improved, balancing the complexion, for more radiant and youthful-looking skin. Gently twist tab around twice and squeeze capsule with fingertips. 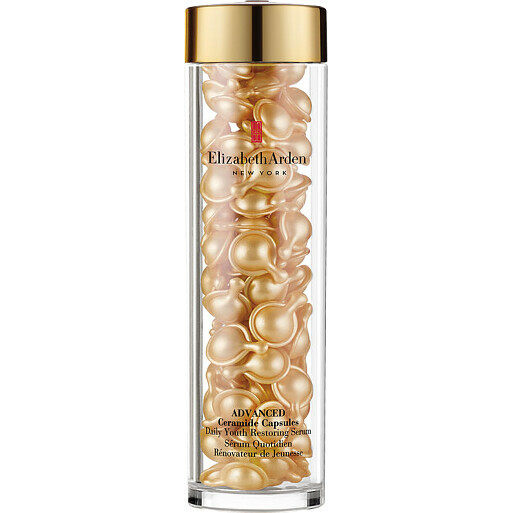 Smooth over cleansed face and neck morning and night before moisturiser.